The best thing a novel can do is to reveal a heretofore-undiscovered world. 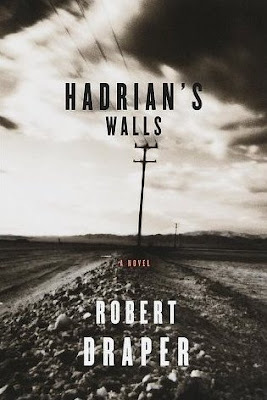 Former Texas Monthly editor Robert Draper's first novel, "Hadrian's Walls," does all this and more, presenting a tiny universe that crackles with conflict, contradiction and energy. It is an impressive work of entertainment and literature; with its page-turning plot and vibrant characters, it's perhaps the perfect book for summer reading.Draper's revelatory universe is a Texas prison town; truly a microcosm of humanity. With layers of politics, personalities and perversion, the heroes and villains live on, long after the story concludes. The tale is related as a first-person narrative by Hadrian Coleman, convicted of murder at 15, now returning to his hometown of Shepherdsville, Texas, the prison town run by his boyhood pal, Sonny Hope. From this logical point of attack, the story unfolds, with well-timed flashbacks revealing and amplifying the plot. Texas, with its singular history and culture, is a great setting for any novel. Its larger-than-life legends illustrate, amplify and extend human foibles and heroics. But Draper wisely keeps things at the human level, allowing the action and its implications to assume their natural, albeit Texas-sized, proportions. As the story unfolds, the author's intelligence and energy keep things moving at a remarkably steady pace. His craft and poise also serve to smooth over any soft spots in the plot, rendering them barely noticeable. For a novice novelist, this is a considerable feat, resulting in a story within which the reader becomes happily absorbed and remaining so well after its completion. Hadrian Coleman is an Everyman; a Prodigal Son, to be sure, but also a figure of great gravity and tragedy. The childhood murder was, of course, the singular event in his life, but his existence before and after is even more defining — and filled with archetypal characters and situations. Hadrian's father is the country veteran who can do no wrong; his best friend is the town's ne'er do well, the woman whom they both love is the unattainable goddess, and so on. Draper not only breathes life into these hoary, would-be stereotypes, but imbues them with such vibrancy and vitality that they're born again as fresh characters. "Hadrian's Walls" would make a terrific movie (Matthew McConaughey: call your agent!) or — better yet — a miniseries, but don't hold your breath. Instead, read this book, and just try to wait patiently for the author's next one. I certainly will.